If you ever thought about outsourcing, you’re likely to have doubts on how to get started. Our simulation tool can help you get a clearer picture. Before walking you through our simulation tool, let’s us just remind how outsourcing software projects is an increasingly common practice. Small, medium and large companies are doing it for different reasons, with proven benefits. 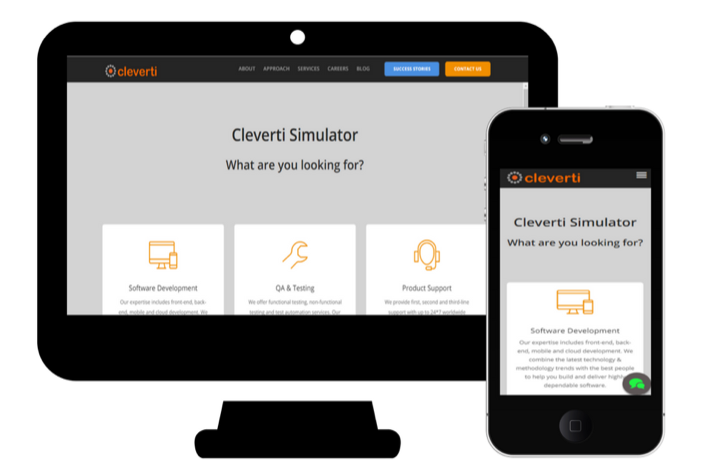 Our project simulation tool available on Cleverti’s website was designed with this purpose. It allows you to simulate a project in a fast and easy way, based on what you are looking for, when you plan to start, what kind of engagement you have in mind and which type of resources you need to involve. 5. And get your simulation right away!